Gusto is a refreshingly easy, integrated platform that streamlines and simplifies payroll, benefits, and HR for small businesses. Pay employees and contractors, manage PTO, and set up health insurance, 401k, and the other benefits you need to build and retain your team. Gusto provides expert support and automates tax filings for local, state, and federal taxes. Small business owners have a lot on their plate when it comes to running a business. Gusto simplifies payroll, HR, and benefits, freeing up precious time to focus on customers and employees. 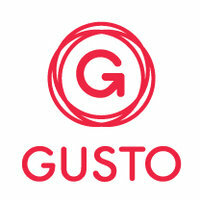 Gusto serves businesses in all 50 states and in all industries. We are best suited for businesses with 1-100 employees. Hours tracked in Upserve can be uploaded seamlessly into Gusto using a custom formatted csv file. Avoid manual data entry and make processing payroll fast and easy. On average, Gusto customers run payroll in 7 minutes or less.